These scalloped squash are super easy and could be eaten for a side, even though my family eats it as the main deal. The idea for this dish came from my easy scalloped potatoes, which my family loves. Preheat oven to 400 and place 2 tablespoons of the butter in a 9x13 inch baking dish. Place the dish in the oven to melt the butter. Meanwhile, thinly slice squash, dice onion, and smash and mince garlic. When butter is melted, swirl to coat pan, then dump in sliced squash. In small saucepan, melt remaining butter over medium-low heat. When melted, add onion and garlic and sauté a few minutes until fragrant. 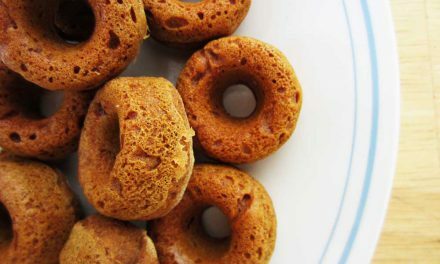 Add in starch/flour, stirring vigorously with a fork to prevent clumping. When thick, slowly pour in milk. Turn heat up to medium and stir until thickened. Pour sauce over squash, sprinkle with cheese, and bake for 35 minutes, or until bubbly and squash are fork-tender. Great recipe! I make a similar one but use almond milk and manchego cheese to eliminate the GMO dairy products. It really looks delicious and is making me hungry just looking at it. Thanks for sharing with Mouthwatering Mondays. Thanks, Linda! Those sound like great subs. 🙂 I like to use my homemade coconut milk, but my hubby likes regular milk. 😉 I've never heard of manchego cheese though, I'll have to check it out! I think cheese makes things a little better too…lol. Sounds like a great recipe for a nice side veggie dish for the family. Thanks for sharing on Merry Monday. Pinned twice. Oh my goodness, this looks and sounds fabulous! 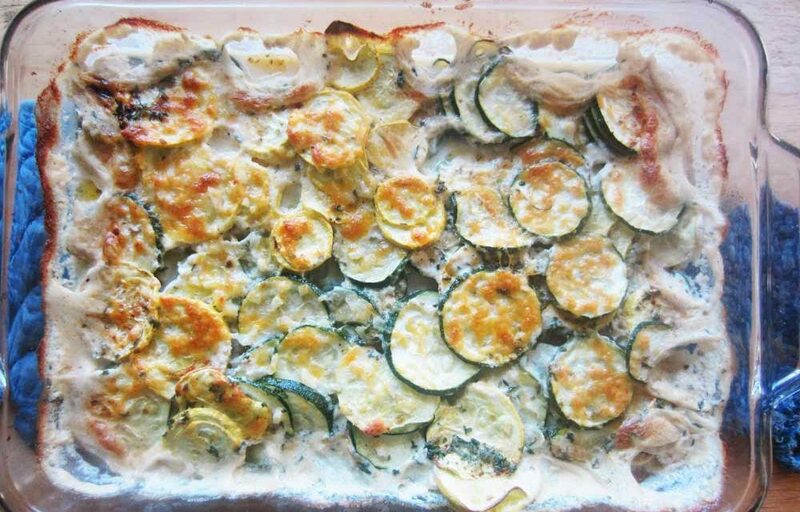 I love zucchini and I ADORE cheese. I haven't heard of crookneck squash before though… is there another name for it? Glad to share, Jennifer! Thanks for hosting. 😉 Crookneck is the yellow squash that looks sort of like a little club. 🙂 I'm not aware of another name for it, but I'm sure you've probably seen it. It's pretty common. That looks good. 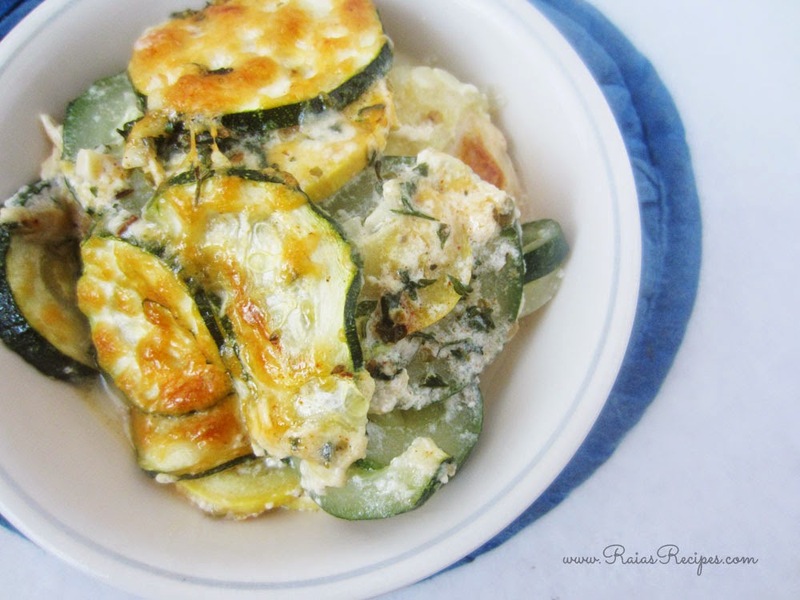 I love summer squash – and had just been remembering a casserole I used to make. I'll keep this in mind! Ooooh I LOVE love love anything with squash in it! will have to try! 🙂 I hope you like it Anne! Thanks for stopping by. Looks amazing, pinning this for later. We get a TON of zucchini and squash when the CSA gets going in the summer!! This looks so delicious! My kids are already asking for summer squash again. We haven't planted it yet! I will have to make this soon. YUM. Thanks for linking up on the Epic Friday Linky Party! This looks great Raia! I never would have thought to try squash or zucchini.. how silly is that?! 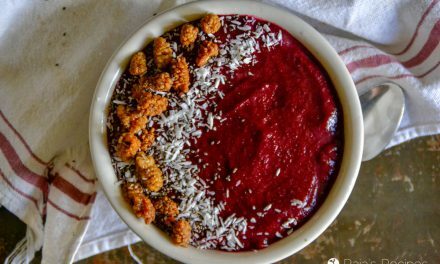 Can't wait to try this delish recipe! Pinned for sure! Zucchini is one of the veggies I have regular cravings for. I should probably be growing it. I'm going to see if this is something my daughter will eat. Usually anything is slightly more palatable to her if it's smothered in cheese sauce. I'm the same boat as you, Lizzie, I should be growing it too! I hope your daughter likes it, mine do. 😉 Thanks for stopping by! This is a good recipe to keep on file for the end of summer. When there are too many squash. Thanks for sharing this on foodie friday. Pinned. That's right, Diane! It's a good squash user-upper. 😉 Thanks for stopping by and pinning! Gonna have to try this when our garden is ready to harvest! Thanks for sharing on Blogger Brags! Thanks so much for sharing your recipe with Foodie Friends Friday this week. Have a wonderful Mother's Day! and we look forward to seeing you again soon. I love zucchini and squash. This recipe sounds wonderful. 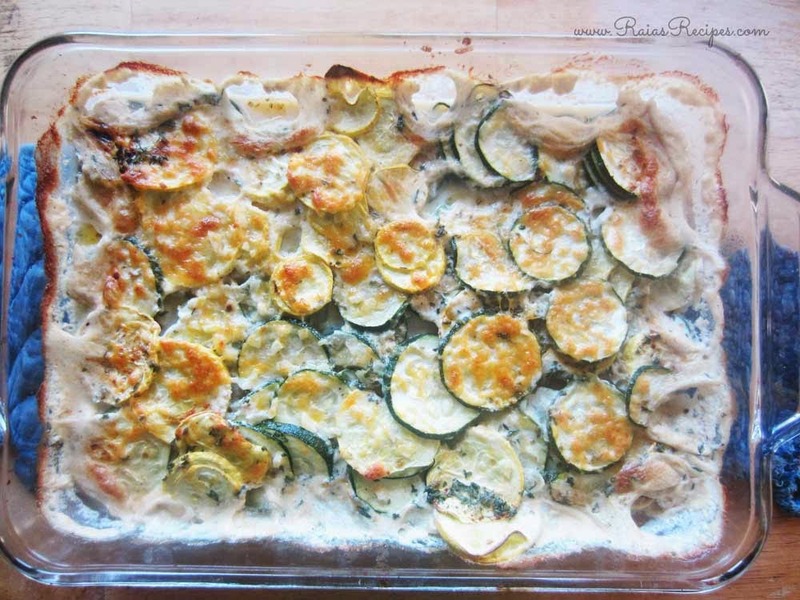 I will share on Pinterest and kept this for myself to use when the zucchini are ripe. Thanks for sharing on Real Food Fridays. Glad to share, Marla! Thanks for stopping by and pinning! 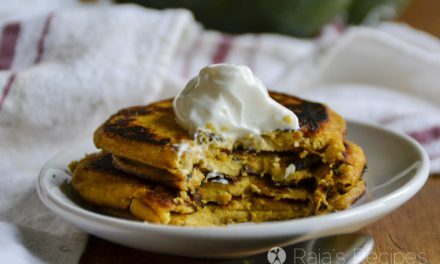 We grow Squash in our garden and I can't wait to try this recipe with our fresh squash from the garden. Thanks so much for sharing your awesome post with Full Plate Thursday and hope you have a great week! Now this is something I haven't tried, scalloped squash, it looks and sound delicious. Thanks for the feature, Diane! I hope you enjoy the recipe! This looks so delicious. You can't go wrong with cheese! haha! Stopping by to let you know that you are being featured on #GetHimFed Friday this week! I hope you will stop by and link up again! I seriously need this dish in my life!! Such a great idea and it looks fabulous – such cheesy goodness. 🙂 Thank you for sharing at #GetHimFed, this recipe is being featured today. Hope you have a great weekend!! Thanks so much, Jess! 🙂 It really is super tasty. 🙂 I hope you enjoy it. I wold love to get your recipes as I am new to fermenting food. Have started with Kombucha and souerkraut and find it is very good for my gut and stabilises my emotions it that is possible. There is no mention of zucchini in the method here. Very frustrating. 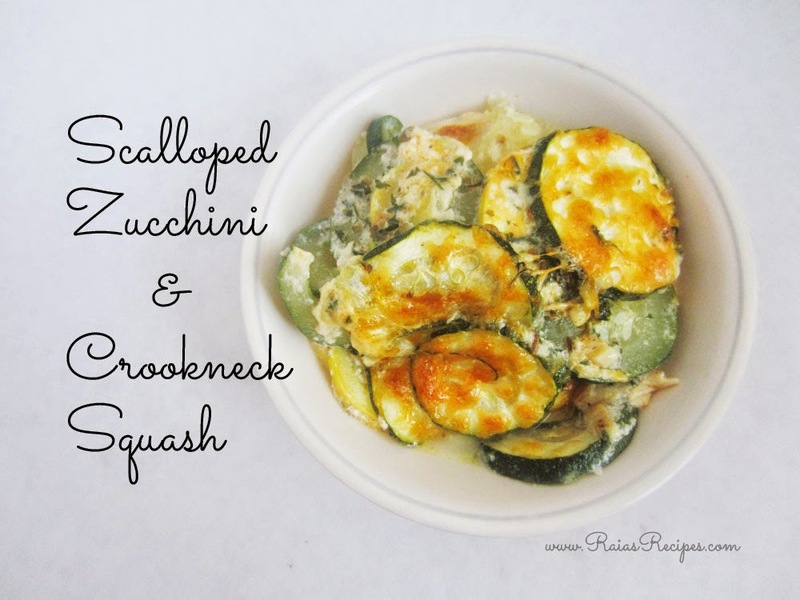 Zucchini and crookneck are both squash. The instructions just lump them both together. 😉 Sorry for the confusion!